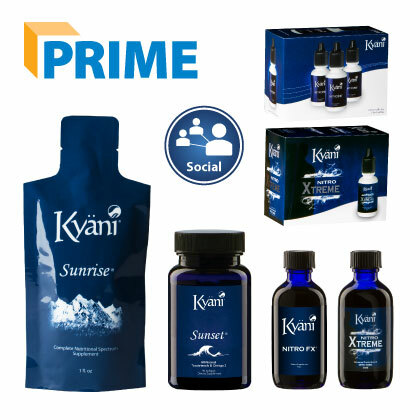 Buy this upper level enrollment pack for all of the products and benefits of the Kyani Builder Pack, plus a six month membership in the Kyani Social program. Kyani Social is an exceptional program that includes all of the major items and tools that every business person will need to oversee and manage their business. This program has a daily, weekly, monthly calendar where you can input your appointments, training sessions, important meetings with your sponsor, your team members, or potential customers. Kyani Social tracks all of your value points, up-line and down-line commissions, tax information, marketing strategies, and the process status of current retail and auto-ship orders. After the initial six month membership in Kyani Social, your membership will be automatically renewed on a monthly basis at a reduced price. If you determine that you do not want this valuable asset, you can cancel your membership at any time. This pack is available in Australia for $1,132.00. What Comes in the Social Builder Pack? How Can You Buy the Kyani Social Builder Pack? This pack is available in Australia for $1,132.00.